Families with young children connect monthly on Sunday mornings and Friday night dinners throughout the year. All families with young children (ages 5 and younger) are encouraged to attend our interactive Jewish experiences. Older siblings and friends are welcome! There is no charge associated with these events. For a calendar of tot or parenting programming click here. 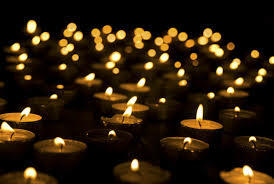 For more information, please contact Rabbi Wendy Pein, Director of Education and Youth Programs, at 271-4705 ext. 123 or educator@tinw.org. In addition to our upcoming events listed to the left, you can click here for the full 2018/2019 Tot Center for Jewish Learning events calendar for the year. In November 2018 PJ Library Author Amalia Hoffman visited to read us her book and describe how she illustrated Dreidel Day. With interactivity and puppets children were able to immerse themselves in the story and the process. URJ Resource Sheet - Looking for Jewish music, podcasts, Holiday info, Pinterest boards? We've got you covered with this one stop source for family friendly Jewish resources. Music Together® Sing Shalom combines everything you love about the internationally recognized Music Together early childhood music education program with a carefully selected collection of familiar (and not-so familiar) Jewish songs from throughout the world. 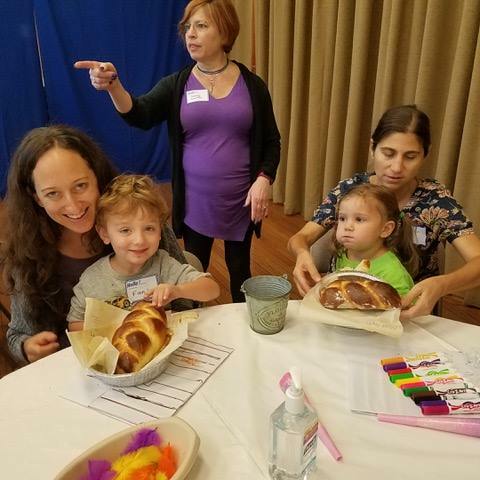 Sing Shalom classes introduce Jewish themes, holidays, and celebrate community through song, supporting parents and caregivers in introducing their children to a diverse, culturally rich Jewish heritage. Music On Hudson is offering this unique program for families at Temple Israel of Northern Westchester Taught by Judy Kropf, Jewish Educator and Music Together Teacher Linda Thornton, Teaching Director MONDAYS 10:30 AM | CLASS STARTS APRIL 1 10-WEEKLY 45-MINUTE CLASSES FOR FAMILIES WITH CHILDREN BIRTH-FIVE $265 for first child. Siblings under 9 mos. free but must be registered $200 for siblings over 8 months. Music Together Sing Shalom tuition includes: • All Music Together materials including a CD and downloads, an illustrated songbook with activity suggestions, and digital access to the exclusive Family Music Zone® • The new Sing Shalom Spring CD and parent song sheets of the supplementary Jewish curriculum of songs. • Parent swag bag with gifts for adults and children • Up to two make-up classes per semester. Register early. Class size is limited and needs 6 families to run. If you are as excited as we are about this new class, please tell your friends!